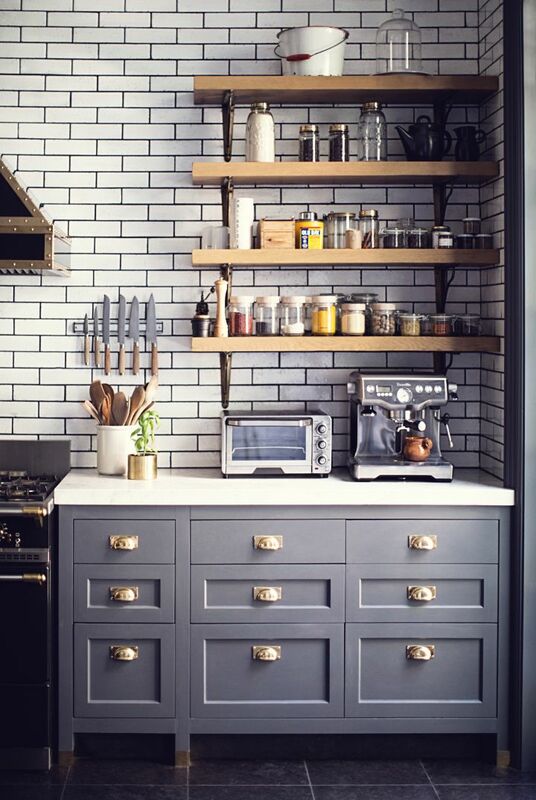 I want nice things even in closed cabinets. 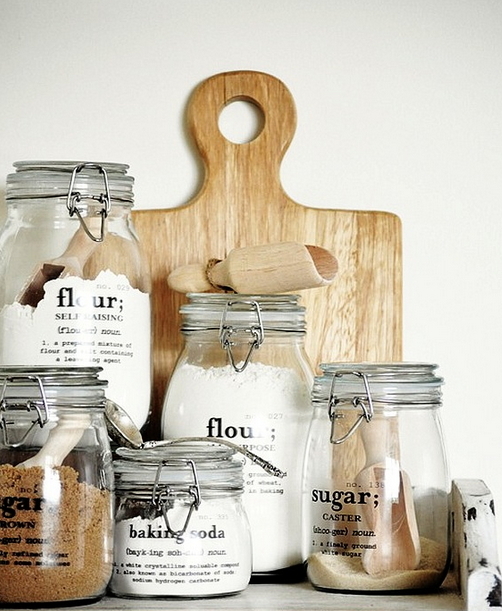 Jars in the kitchen are my weakness. 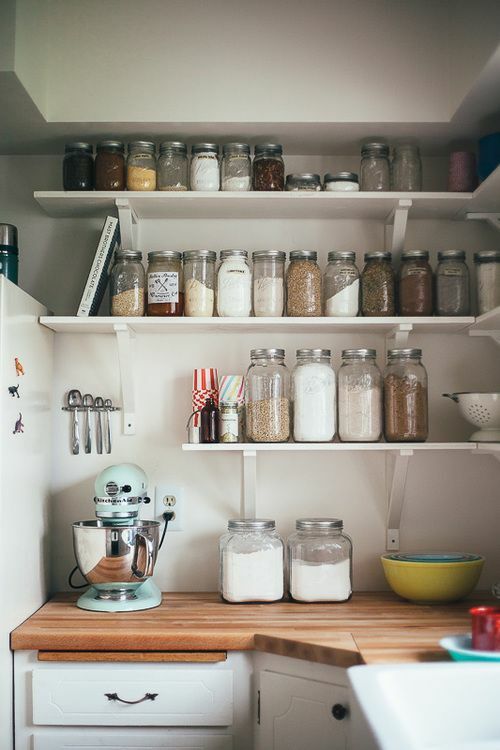 I’ve already written about how to nicely and neatly arrange the dishes, jars and other cookware in a topic “Let's organise your kitchen”, however, this time I’ll talk only exclusively about jars. 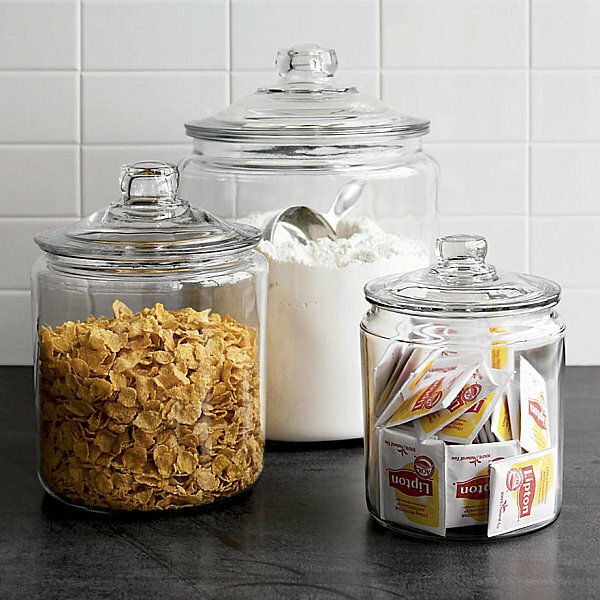 Well, a nice jar (even the one where we pickle cucumbers) is a perfect décor detail of a kitchen and provides coziness for space. Even having set up 3 nice jars, different mood appears. 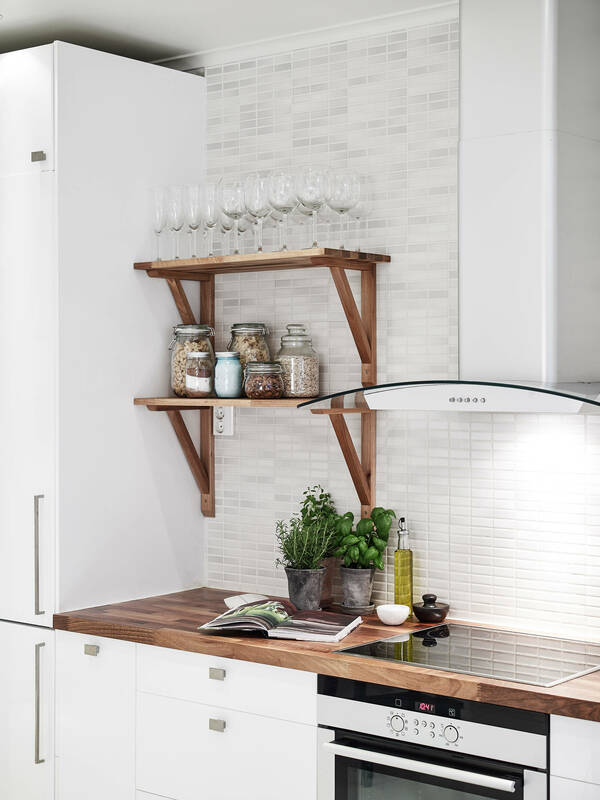 It’s not compulsory to keep them in open shelves or on the worktop, I want nice things even in closed cabinets and it’s not important that others don’t see that, I see that and it immediately becomes pleasure to cook. Of course, I know from my own experience that holding the products in jars or dishes if there’s not enough space, the part of for example flour is still left and this flour must be left somewhere and still the pile of open sacks and packages is left, however, for the sake of beauty, I always supplement resources! 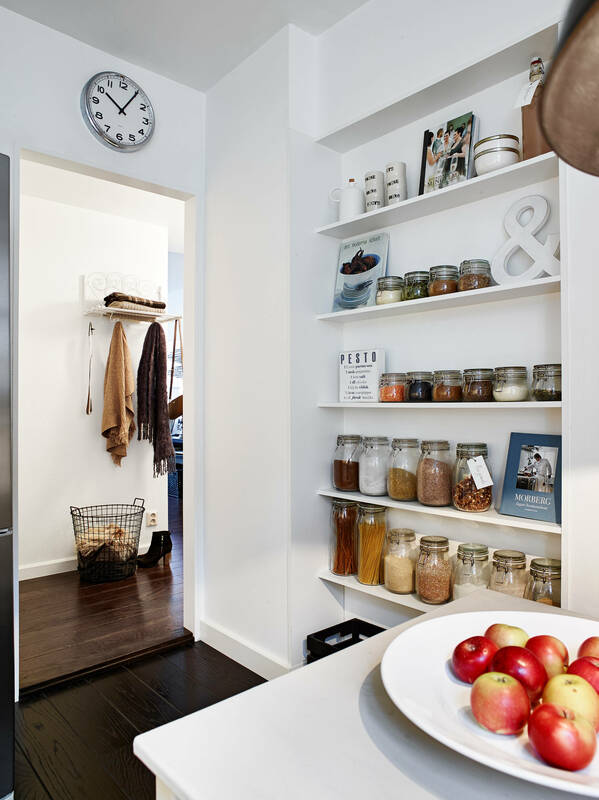 The example of very cozy kitchen – neatly arranged jars, some books and décor elements create a good mood. 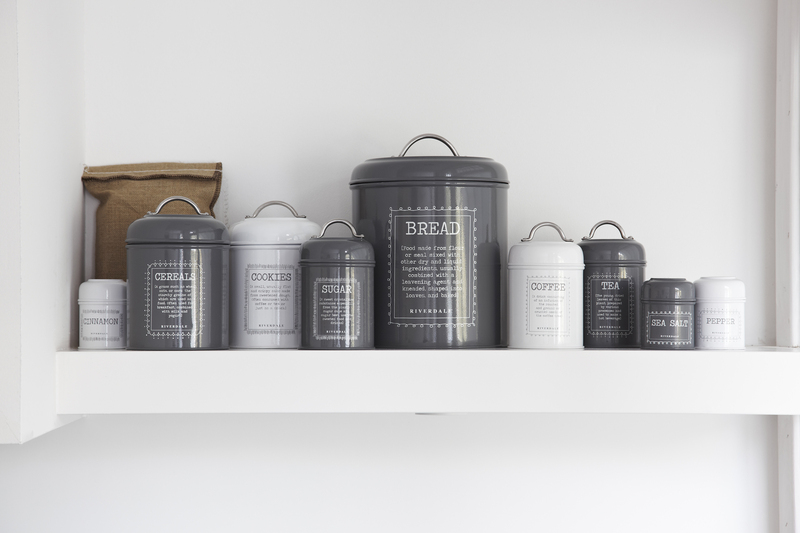 You can even keep tea bags in jars! 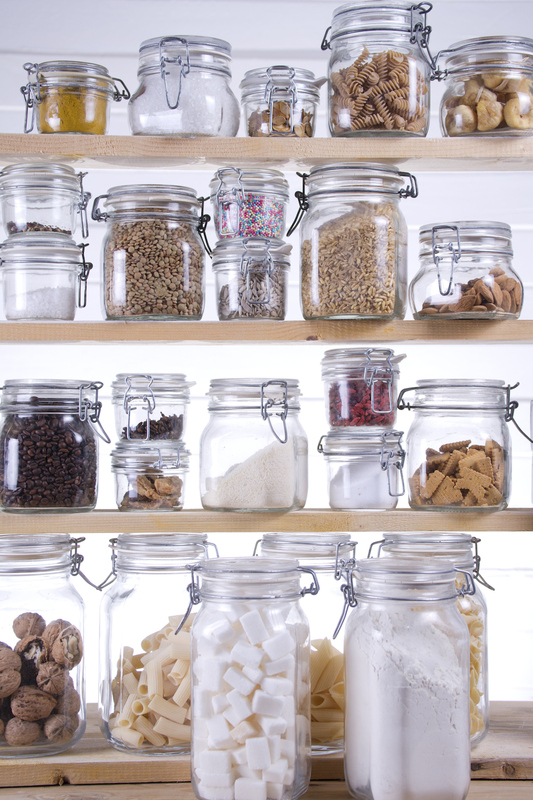 It's a topic about jars, but I couldn’t not to upload those cruets – they’re WONDERFUL!!! 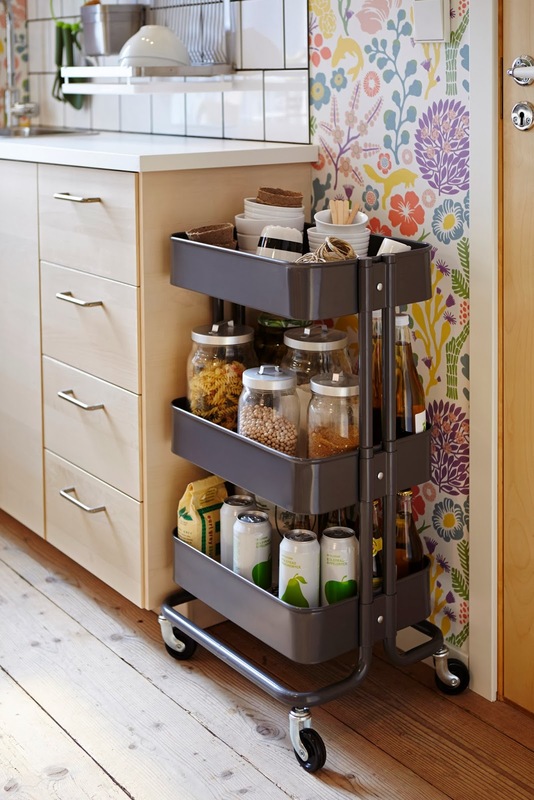 You see the IKEA trolley on wheels and its use in a kitchen is probably one out of some hundred ways. There’s a link on a photo, please click it and you’ll see where you can use this thing. 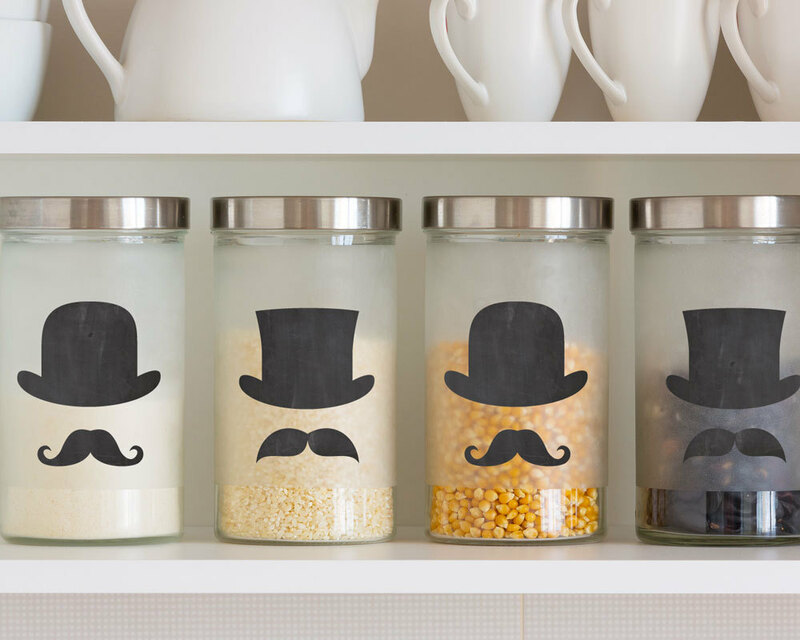 You can decorate jars with some stickers, it’s not a necessity to write something on them, you can just give them another shade.